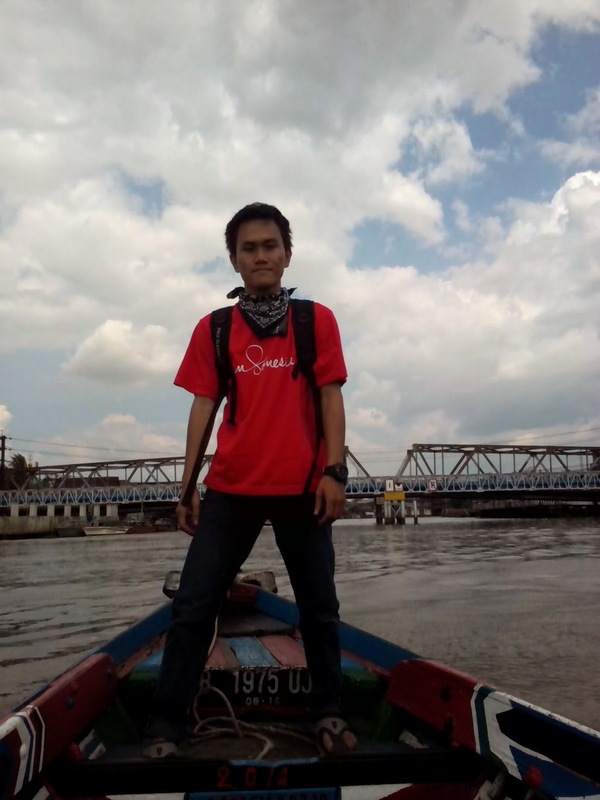 [ Qoreader Blog ]: Visiting Bekantan in Pulau Kaget with Tina and Jan.
During hosting time, as usually most of them want to visit Floating Market, and then eventually I looked them a boat jockey to take them to the place, they said they'd explore Banjarmasin city for four days. In the first day, I was sort of busy; so I asked my neigh-boor friend; Dante to accompany them exploring the city. 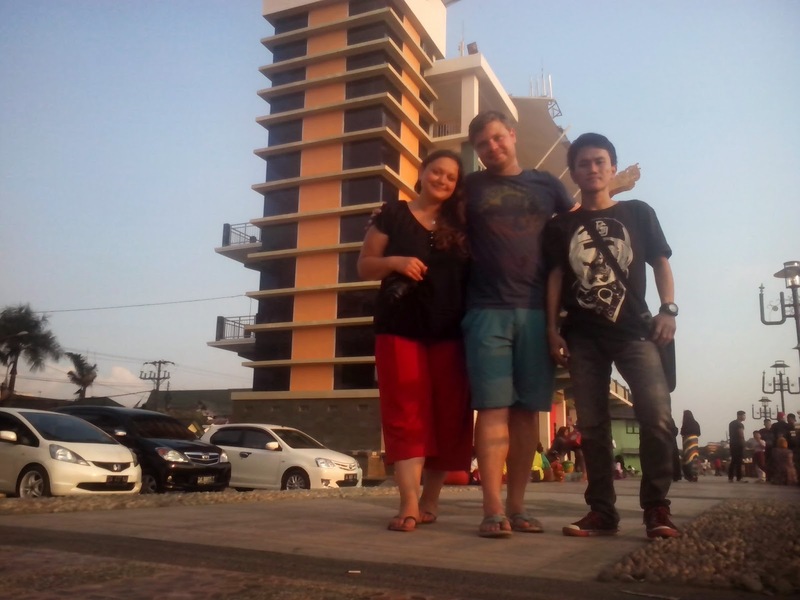 In the evening, I catched up when they would be in new building called "Menara Pandang (Watch Tower)" which is located in the Banjarmasin waterfront. In tomorrow morning, I had spare time to accompany them visiting Floating Market, maybe it's three month since I haven't visited the place anymore, they're really open and nice when we discussed our interests such socio-political stuffs and also life advice when we're going to the place. 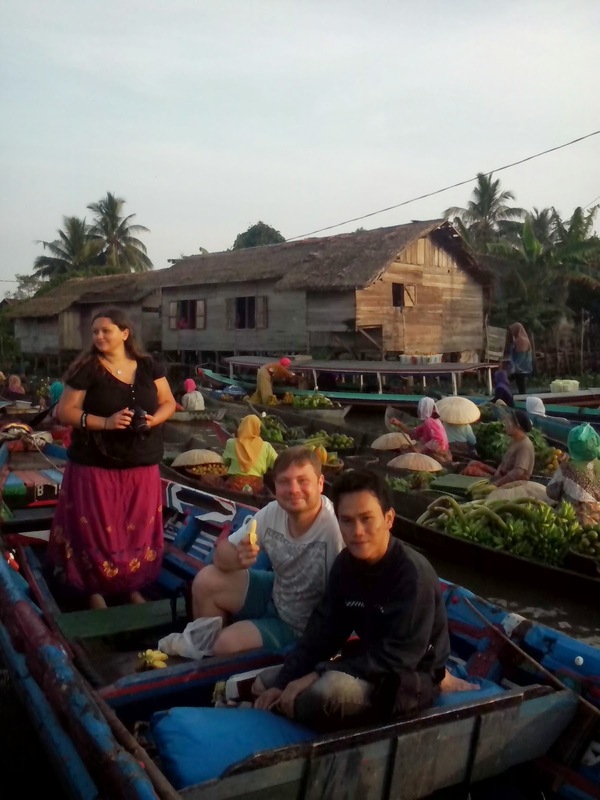 After visiting Floating Market, I gave them "freedom" to explore Banjarmasin by themselves. Before we split up, they said they're interested to visit Bekantan Island in Pulau Kaget and they need my help for contacting the boat jockey about things how to get there. 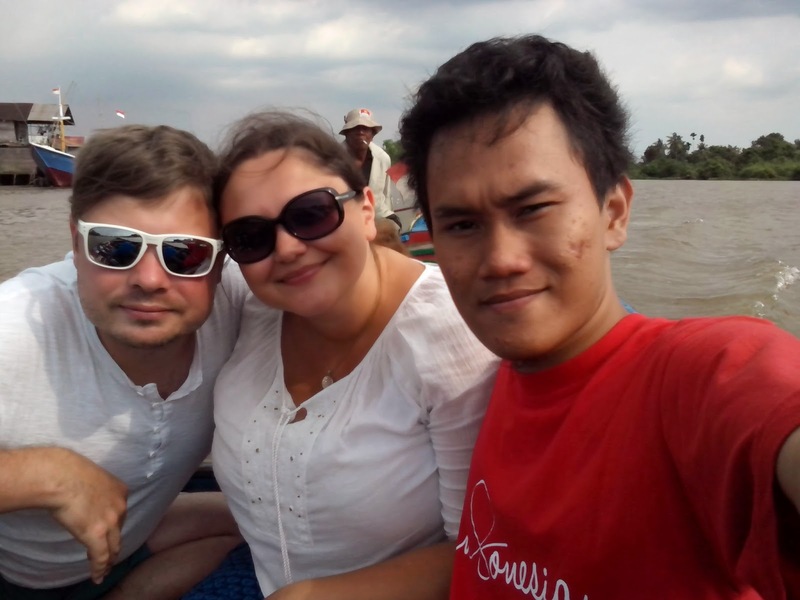 Because, I never visit the place, I was more enthusiast to help them and asked to join with them again in boat trip. They have approved my request with pleasure. The next day, in the midday, around 03.00 pm we have started our trip, it's supposed to start in 02.00 pm, but because we have "rubber clock", in the end, we wasted one hour to go. Before going, I asked several stuffs like things we'd do there. Our jockey, we call Paman Bayun told me about the cost is about 250/200 for round trip and its for 6 people, the distance from Banjarmasin to the island is about two hours and to find Bekantan there is depend on the luck factor, if you aren't lucky enough, you will see nothing or at least seeing some. 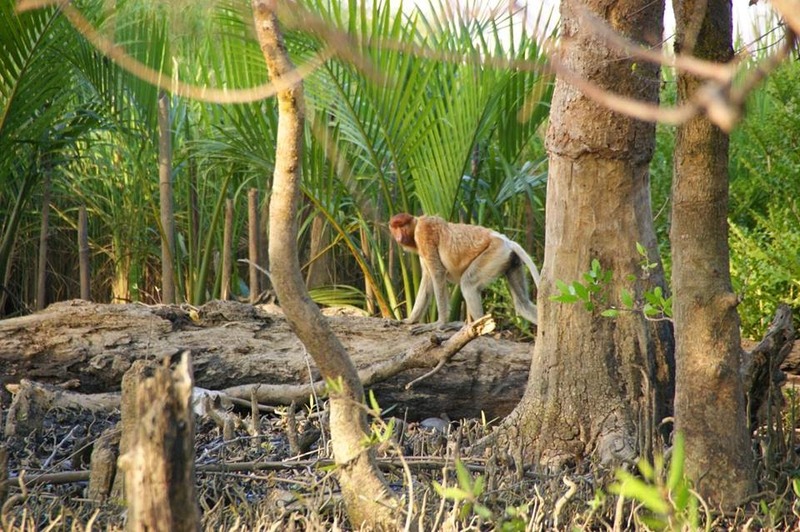 In opposite, there will be many Bekantan sitting around in the edge of island "hang-out". 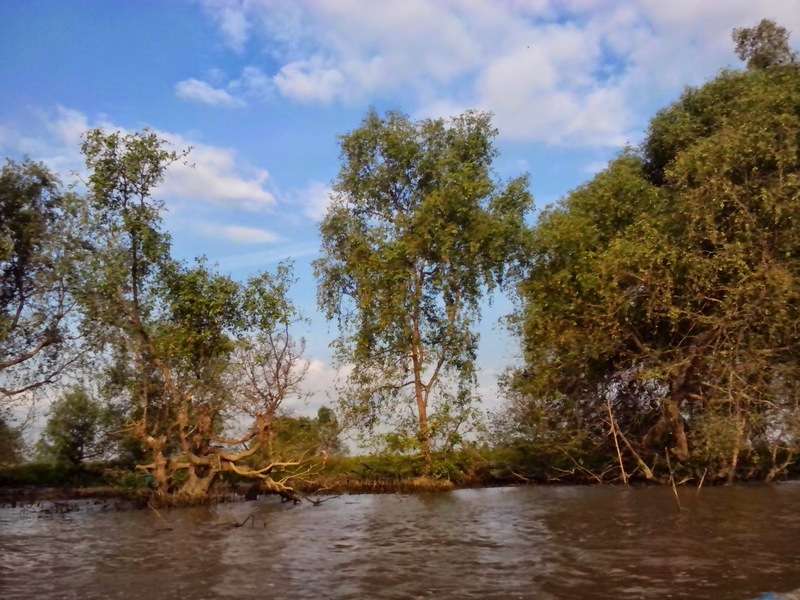 And one more important thing is Pulau Kaget cant be landed by foot so the boat will wander around in the sides of island. And I told this to Tina and Jan , they responded positive, the important thing is to get there and see what would happen. 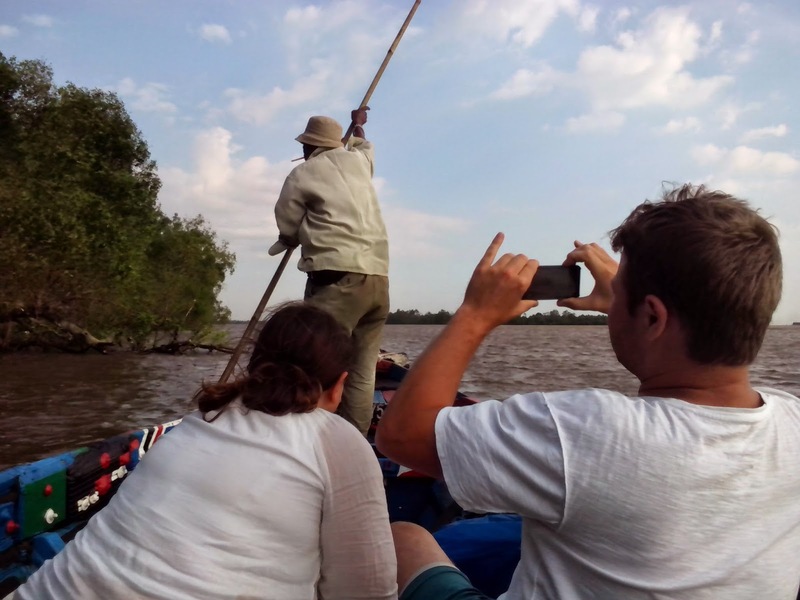 Finally, our boat was departing, during our trip the river was rising. They're worried because the river waves came inside out boat when we were in the estuary of river. Our jockey said to keep calm to me and hope nothing bad would happen, because it's often happening. 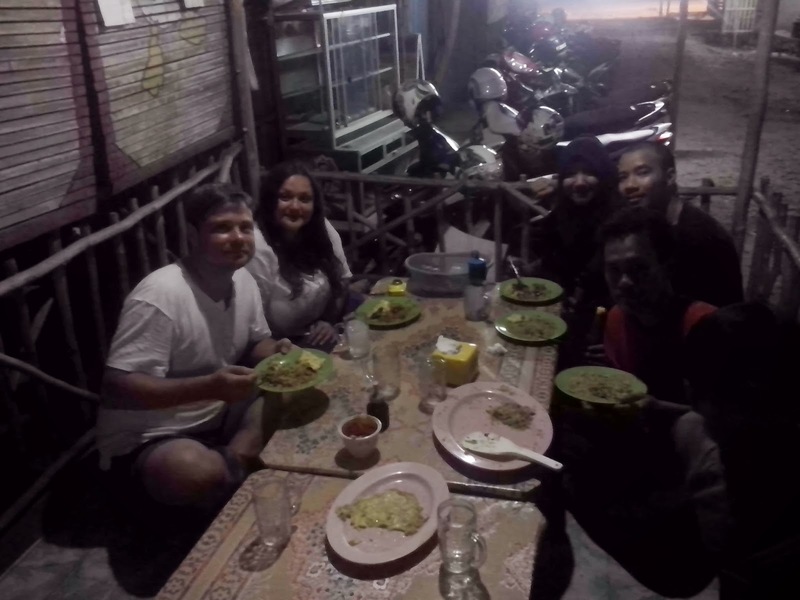 And there rest, when we were passing the waves, we discussed a lot of things; especially our politic situation and view-exchanging about the differences of thinking between Indonesian people (they meet) and German people. Two hours above the boat, in then end we have reached Pulau Kaget. Tina brought her camera and long-wide lenses (so if you want to come there, bring some camera with zoom capability), because I brought my phone, so the pictures of Bekantan here belong to Tina. 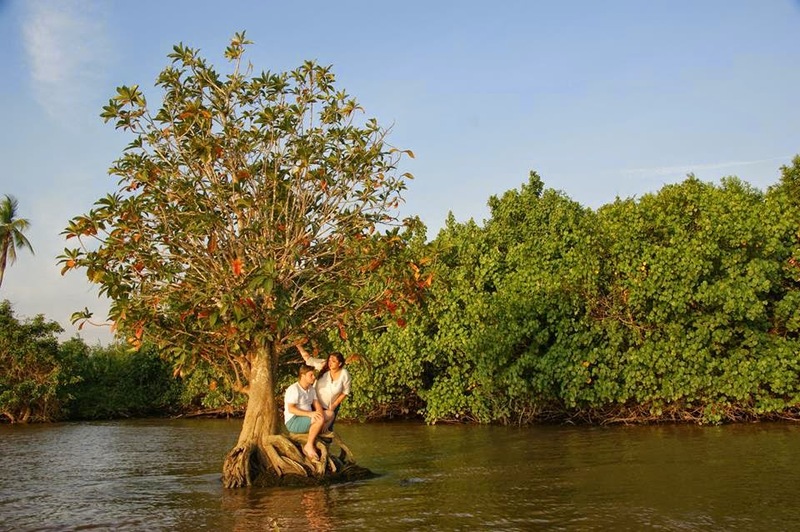 After wandering around for half hour and we couldnt find more bekantang, soon we were turning back into the city, in our returning, we found a single tree which was located in the middle of water near the Island, before we really got home, we took a picture there hanging-out there. Its really beautiful view. Here is a pic. Anyway, when we got in Banjarmasin, its dark and the time ws 08.00 o'clock. 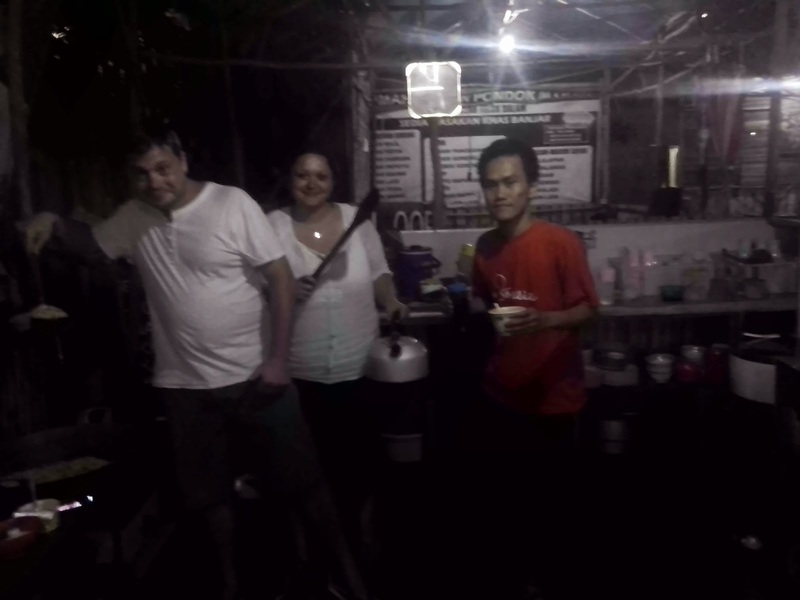 That night, we continue to make a cooking event with them, at first we're going to cook German food but it's turned out to be Indonesia food; Nasi Goreng with Dante as the chef. We had a long night and had warmest conversation ever.